We are one of the leading organizations engaged in providing high quality High Pressure Pipe with steel balls fitted at either end. 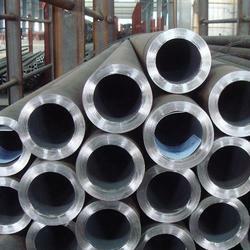 The offered pipe is highly admired in the oil, pharmaceutical and chemical industries to transfer oil with high pressure and is extensively demanded all over the world owing to its high strength. We are reckoned as the noted Supplier of Korean High-Pressure Pipes as we are capable of meeting the exact requirements of the buyers. We have invested a large amount for developing all-the-in-house storage facility that is managed and maintained by our diligent professionals. Also, it keeps us free from stock-out situations.